SAINT AUGUSTINE — For the second time in a week, Flagler College has been named to a prominent magazine’s list of most beautiful colleges — this time in Southern Living. 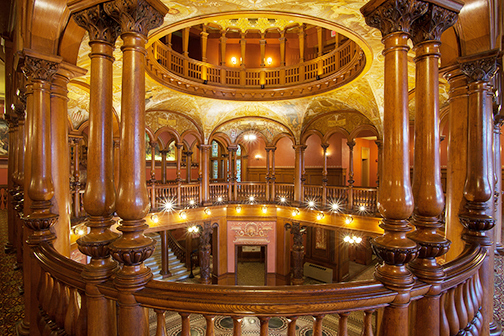 Last week, Cosmopolitan Magazine released its list of “30 of the Most Beautiful College Campuses in the World,” and top on the list was Flagler College. Southern Living’s recent article, “The South’s Most Beautiful Colleges,” included Flagler on the list of 21 schools that also consisted of Georgetown University, Tulane University, the U.S. Naval Academy, Duke University and Baylor University. “The South is home to some true beauty when it comes to our small towns, big cities, and everything in between; and we play host to some gorgeous, lauded universities to boot,” the article wrote. The article noted that when the king and queen of Spain visited St. Augustine in 2015 to for the 450th anniversary of the historic city, they dined with local and national dignitaries at Flagler, where the centerpiece is the former Hotel Ponce de Leon, a National Historic Landmark that opened in 1888. Cosmopolitan included Flagler on its own list that included schools such as Princeton University, Harvard University, Yale University, University of Oxford in England, Notre Dame University, University of Cambridge in England, Trinity College in Dublin, among others. To view the Southern Living article, visit: http://www.southernliving.com/culture/school/beautiful-college-campuses.